Cisco’s exams can be a lot of hard work- we know. But the worst thing you can do to yourself is to simply look up the answers to exam questions. Not only do you not learn anything- but you’re hurting your future in the process. 1. Refer to the exhibit. What is the appropriate cable to use at each of the numbered network connections? Explanation: In the first computer, we are connecting it to a router’s console port- and so we will need a rollover cable. The second computer is linked to the Ethernet port, so it needs a crossover cable. The router to switch connection requires a straight-through cable, since they are unlike devices. The switch and the workstation are also unlike devices, so it is also a straight-through cable. D is correct. Explanation: OSI Layer 1 devices reside on the Physical Layer. These are considered “dumb” devices- both hubs and repeaters reside on this layer. A and E are correct. 3. What device is used to connect hosts to an Ethernet LAN and requires a straight-through UTP cable between the hosts and this device? More Info: What Is The Difference Between A Hub And A Switch? 4. What is the most common type of cabling used in LANs? Explanation: Single Twisted-Pair is quite popular, since it is cheap, easy to install, and quite durable. Each other method suffers from high cost or are rather difficult to install. Explanation: The above article states that we use a crossover cable when connecting like devices- so B and E are both correct. 6. Refer to the exhibit. How many collision domains exist in the network? Explanation: Switches only create one collision domain. Since there are two connections to each part of the network, there are two collision domains- B is correct. 7. What type of cable would be used to make the connection between the console port of a router and a workstation? Explanation: The above article states that to enter the console port, we need to use a rollover cable- B is correct. 8. Which function is a unique responsibility of the DCE devices shown in the exhibit? Explanation: The clocking rate must be set on the DCE side of the cable, or communication will not take place. C is correct. 9. Which address does a bridge use to make filtering and switching decisions? Explanation: The bridge uses the destination MAC, since it is a layer two device. The source MAC would be impractical, since we need a “to” address, not a “from” address. C is correct. 10. What is characteristic of how a hub operates? A) A hub selectively drops packets that represent potential security risks. B) A hub forwards data out all interfaces except the inbound interface. C) A hub dynamically learns the interfaces to which all devices are attached. D) At start up, a hub queries the devices on all interfaces in order to learn the MAC addresses of the attached devices. E) A hub transmits a frame to a specific interface based on the destination MAC address. 11. Users with systems that are attached to a hub are complaining about poor response time. What device could replace the hub and provide immediate response time improvement? Explanation: Since hubs split bandwidth between all interfaces, this can be a very poor performing device. Switches use microsegmentation to give bandwidth only to interfaces that need it at a specific time- so B is correct. Explanation: Peer to peer networks are easy to create and are considered to be decentralized. This means that B, D, and E are all correct. The client/server model is centralized, and harder to create- which would apply to A, C, and F.
13. Which statement is accurate about a WAN link? A) The link transmits data serially. B) The link uses a maximum distance of 100 meters. C) The link uses the same transmission rate as all other WAN links use. D) The link uses the same standardized connector style that is used for all WAN technologies. Explanation: We know from the above article that WANs use serial connections to communicate. The transmission rate can be changed, so C is wrong. Different connectors may be used, so D is wrong. B is also wrong, since the maximum distance may be much longer than that- after all, the internet is a rather large WAN that spans the entire Earth. 14. Which items in the exhibit are DTE devices? Explanation: D is the correct answer, since routers A and D both act as the client in the given scenario. To put it into perspective, you can imagine that each router is your home network, and your computer is connected to the router. Thus, you are the client. 15. At which layer of the OSI model does the MAC address of a NIC reside? More Info: What Is A Network Interface Card? Explanation: The MAC address is a Layer 2 function- the Data Link Layer. E is the correct answer. 16. Refer to the exhibit. A technician measured the lengths of the CAT 5e structured cable runs in the exhibit. How should the technician evaluate the cabling shown in the diagram to the network administrator? A) All cabling to work areas are within specifications. B) Station A and B may experience intermittent problems because the length exceeds the recommended standard. C) Station B may experience intermittent problems because the length exceeds the recommended standard. D) Station C may experience intermittent network connectivity because the length is less than the recommended standard. E) Station A and B will have intermittent problems because the length exceeds the recommended standard. F) Station C will not have network connectivity because the length is less than the recommended standard. Explanation: If you check the distance specifications in the above article, you’ll notice that computer B is over the limit. Thus, C is the correct answer. 17. Which statement describes a typical use of Gigabit Ethernet? Explanation: Gigabit Ethernet is commonly used for backbone cabling, since that is where the most traffic is present. D is correct. Refer to the above article for more information. 18. The ends of a UTP cable are shown in the exhibit. Which cable configuration is shown? Explanation: The above configuration matches the specification of a straight-through cable, D is correct. 19. The ends of a UTP cable are shown in the exhibit. Which cable configuration is shown? Explanation: The above configuration matches the specification of a crossover cable, B is correct. Explanation: This question should be fairly obvious. Without wires, you have more mobility- C is correct. For the same reason, E is also correct. The other results may be true in some cases, but it really depends on how the network is configured to judge its security or speed. 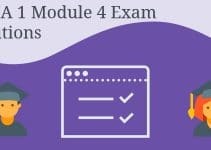 Could you kindly please do the same solutions for module exams for CCNA 1 Exploration Version 4.0. Thank you very much for your good works in not only showing answers but explanations as well. Q 4. The most common type of cable used in LANs. I think the best answer is UTP not STP. Now you’re giving us the new meaning to the abbreviation of STP. You once said it STP stands for Shielded Twisted Pair because it is wrapped in metallic foil. But now the new meaning is Single Twisted Pair. Really confused!! !